Quality Trips Designed To Keep Poles Bent! When you allow us to serve your family, we promise to put you on quality fish and keep poles bent! Book your trip today! Where Achievement Is An Absolute! 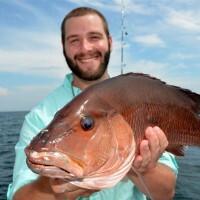 Come see how a half day (6 hour) charter can change your perspective on what deep sea fishing can be like. Book your trip today! 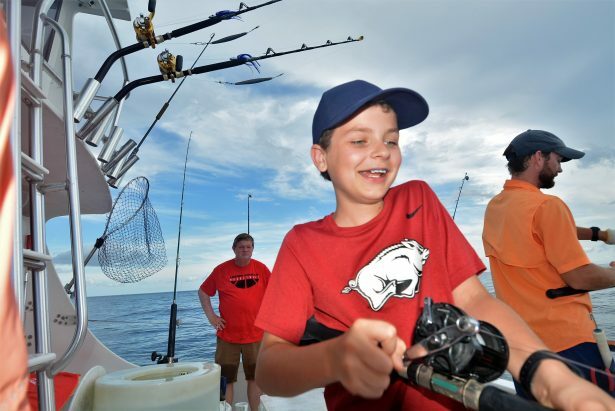 Redefining Deep Sea Fishing, One Child At A Time! 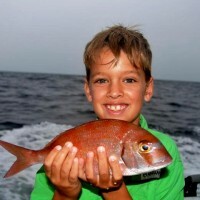 A family friendly, action packed fishing charter that breaks traditions and makes dreams come true. Book your trip today! We encourage you to participate at your own pace, so you will gain confidence and reach your full potential. Book your trip today! Deep Sea Fishing Adventures Begin Here! 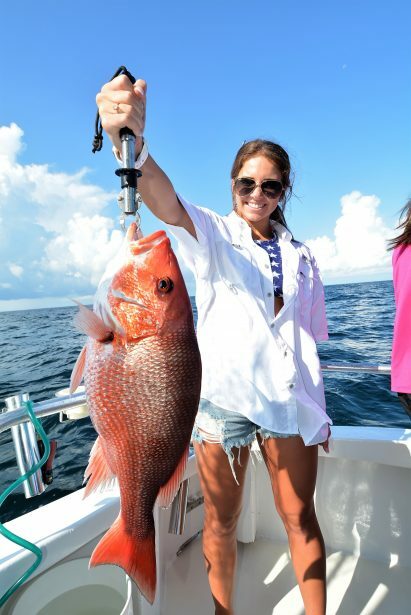 A deep sea fishing charter that gives you action, some relaxation or something in between. Book your trip today! Different in every way. First we raised the bar, now we are setting standards. Book your trip today! 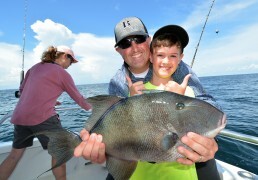 Taking your family deep sea fishing for the first time, isn’t such an imposition! Book your trip today! Fish With Barbless Circle Hooks! Using Barbless circle hooks helps ensure the fish you release, survive! They are safe for anglers and kids to use too. Book your trip today! Motivated to give you the best fishing experience! The experiences you receive while fishing with us, will shape who you while moving forward in life. They are more valuable than any material goods you will ever possess! Book your trip today! What Face Will You Make When You’re Fighting A Big Fish? The expressions on your face is priceless and we aim to catch that special moment for you. Book your trip today! 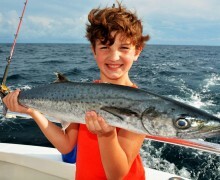 King Mackerel are a fun fish to catch while trolling to and from the reefs. They are always in season and are ideal for those who want to keep some fish for dinner. June through October are best. Book your trip today! What Our Family Values Most! 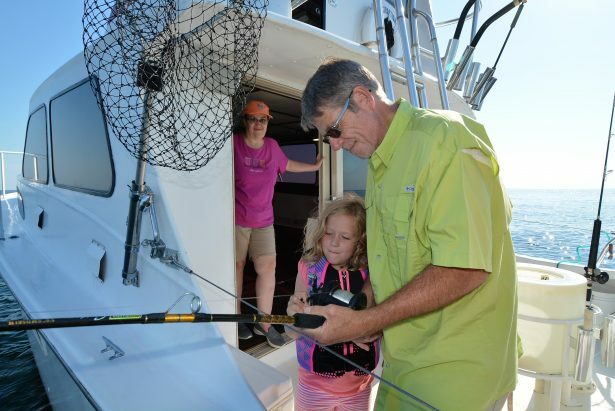 Our relentless attention to every detail and improving the family fishing experience drives us forward! Book your trip today! 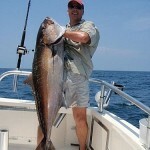 If you catch a big Cobia like this one, the rest of your trip is made! 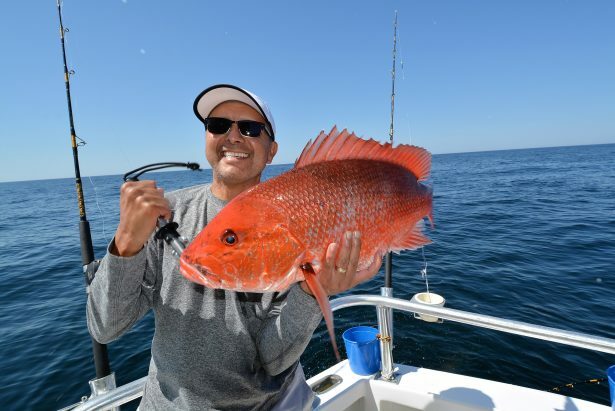 During late spring and summer, these migratory game fish show up on Alabama’s artificial reefs and they offer an incredible light tackle fight. Book your trip today! His grand kids call him “Papa Bear.” Come see for yourself why families trust this true gentleman. Book your trip today! 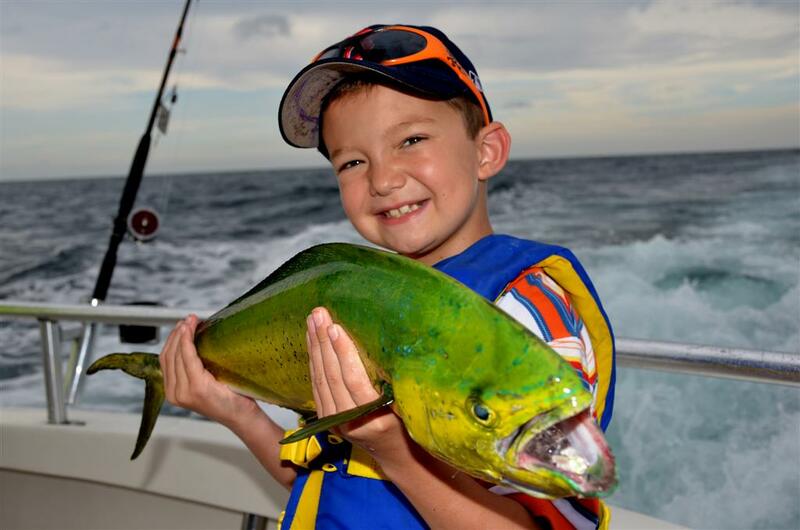 Ever Caught A Mahi Mahi? 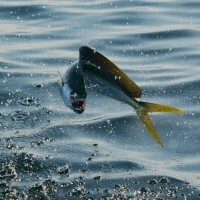 During the late summer, Mahi Mahi can be caught while trolling fishing south of Orange Beach. If you are lucky enough to catch one, they are very tasty too! Book your trip today! Your Kids Can Drive Our Boat! Would your kids like to learn how to drive the boat? Captain Troy encourages you to come up and take the helm (as long as sea conditions are favorable) Book your trip today! Escape Ordinary, Cruise The Distraction! Distraction isn’t about luxury or status, it’s about satisfaction. Her seamless blend of style, nostalgia and substance, crafted to ensure every fishing trip is something special. Book your trip today! Sea A World of Wonder! Shark Fishing is Exhaustingly Fun! Want your own big fish story? 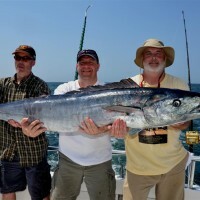 On most 6 hour charters, someone gets a chance to get a competitive edge over their buddies. All sharks are photographed and then released. Because you deserve it. 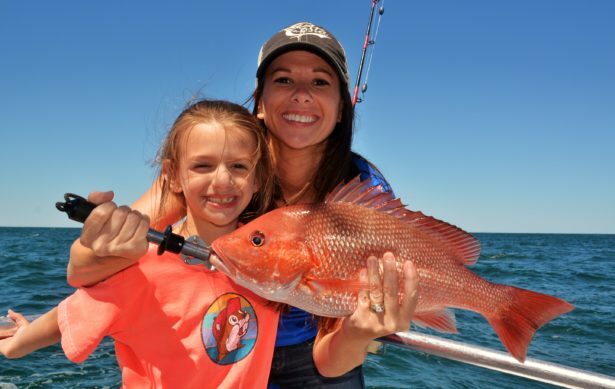 Your family will will always remember the time when you took them to experience a different kind of fishing charter in Orange Beach. 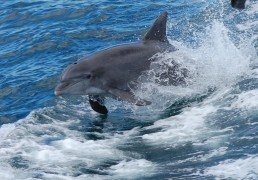 You never know what your going to catch while deep sea fishing near Gulf Shores. Redefining Charter Fishing – One Customer At A Time. When it comes to deep sea fishing, we encourage you to keep only what you need for a few meals or release them all. We are fishing for tomorrow. Your Family’s Safety Matters To Us! When you bring your family to fish with us, you are with one of the safest boats in town. With us, “Safety Is No Accident.” Book your trip today! When you allow us to serve your family, you will experience something so valuable, it can’t be found elsewhere! 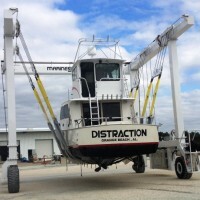 When you allow Captain Troy and the Distraction crew to serve your family, you will experience something so fascinating and valuable, that it can’t be found anywhere else in the Alabama fishing charter business. Whether you have 1 or 6 people in your group, each of you will be treated like one of the family. And boy do we treat our family good. We love to laugh and greet our guests with open arms, hand shakes and if you are a repeat – a lot of hugs. We act honorably and respectfully around you and your children. We will always treat you with kindness and be patient with everyone in your group. Words are cheap, but our actions will show you how much we care about you getting the best fishing trip available in Orange Beach, Alabama. The charter boat is open year round. Our busy charter season begins each year at the beginning of March with Spring Break and continues through the end of October. 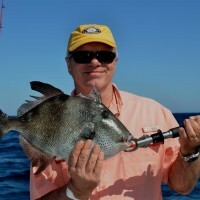 Our peak fishing time is from a week before Memorial Day to mid August or Labor Day. During this time period, we offer two 6 hour, private trips daily. Mornings are popular trips for early risers, but afternoon trips catch just as many fish as mornings, but you get to sleep a little later. All of our private charter trips are “G” Rated, Family and Kid friendly. Since filling the freezer is no longer possible with any trip, we take you to catch a lot of fish, even if they are not in season. We give you the option to “Keep A Few For Dinner” (KAF) or “Catch, Photograph and Release” (CPR). 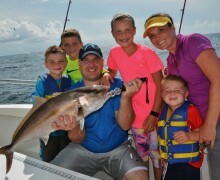 Make Sure We Are The Right Fishing Charter For Your Family! Just like you, we do our research about certain activities in Orange Beach before we invest in them. Before you decide to book a trip with us, we encourage you to read our entire website so you will see exactly how we will treat a family like yours. We also want you to know about the fish you will be catching and the size and quantity you should expect to catch. This way, you will be assured that your family is getting exactly what you expect and the best return on your investment. We had rather be up front with you and tell you everything you can expect, than to embellish about something and later find out that we let you down. We promise to treat you right and do our best to keep your rods bent. 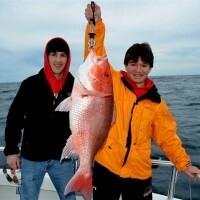 Distraction Charters offers you is a chance to go deep sea fishing offshore without worrying about anything. 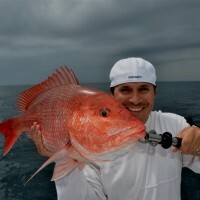 Don’t worry about the weather, the sea conditions, the fish bite or how we will treat you. We calm mom’s fears, get your kids hearts beating with anticipation, help dad’s unwind and make grandparents feel like they have the best family in the world. When you get off our boat, we want you to feel better about yourself than you did before you got on the boat! We enjoy watching children’s faces while they reel in their first fish. You will too! When we started our company in Orange Beach back in 2002, we knew we had something special to offer first timers and family’s. Even today, the level of service we provide for family’s with kids, is unheard of in the deep sea fishing industry. 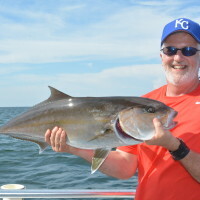 The problem we identified when looking for a fishing charter, was finding one who doesn’t act like an eager salesman just trying to sell you a fishing trip or over promising you a cooler full of fish or even big fish. That is not who we are at all. We are solution providers for family’s like yours. Listening to our customers is important to us. We found out that our customers want someone who makes an honest effort to put them on the fish, keep their poles bent and be gentle with their family while learning how to fish. Our guests want a charter guide that tells the truth about what to expect. 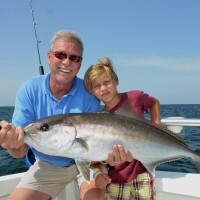 To us as parents and grandparents, it is important to find a company with a proven track record of being a reputable family friendly fishing charter that you can trust around your wife and kids. Your family and kids are safe, and we let them have a good time and keep them from getting too bored while riding and in between fishing spots. What we do for family’s is extremely rewarding for all. Just knowing that so many people trust us to always put their interest ahead of our personal gain, is a win/win. 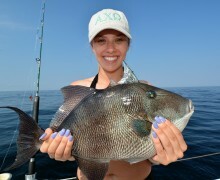 Some Fish Your Kids Catch, Are Bigger Than Usual! Believe it or not, Captain Troy cares enough to learn each and every one of your names and call you by them during your entire trip. To date, he knows over 22,000 people by their first name. You can tell a lot about the captain your fishing with when they show you they care enough to learn everyone’s name in your group. It is very important to know you and your kids. Understanding that everyone different and has unique personalities, we make an honest effort to learn your personalities and adjust to them. Some people are shy and others are not. Our guides know how to tell the difference and try to help each person overcome what makes them who they are. We encourage you and want everyone to be their best. When we get to know you better, we make an effort to adapt to you, so you don’t feel overwhelmed. Whether you are a famous person wanting to protect your privacy or just a regular every day American, we treat you the same. When you are with us, we leave your title at the dock and call you by the same name your wife or husband calls you. We actually love for you to bring the kids along. We enjoy it when they ask us a million questions. That is where we are so different than other Orange Beach charters. We take you to experience fishing and everything that includes. We are educators and want you to learn everything you can in the short time you are with us. As you can probably tell, we are all about your family getting a good fishing trip and a fishing education. Families know we love them and will always do our best to make them happy! If you want someone to treat you right, we offer the right amount of southern hospitality and charm. When you combine it with some kindness, exceptional customer service and light tackle action, everything turns out just right, every trip. Distraction offers our customers low price fish mounts for those who want a little more than a photograph to help them remember their charter trip. 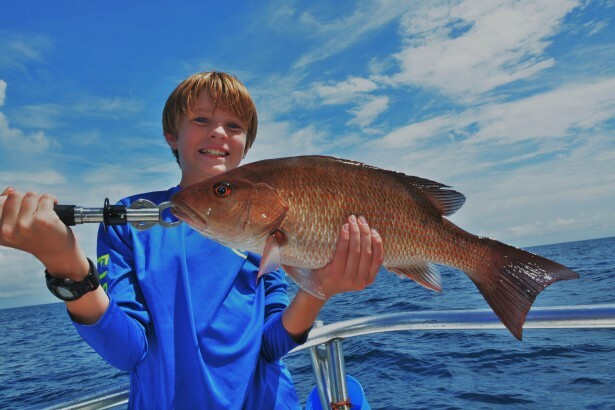 Imagine your 12 year old catching a big mangrove snapper on his first fishing trip! We know that in today’s society, a lot of people are trying to keep up with the Jones’s. They buy the latest and greatest objects, which stresses everyone out. In our opinion, we believe our fishing experiences along with some quality photographs are what you need to be accumulating. Nobody remembers what they get for Christmas, but they will always remember their first deep sea fishing trip in Orange Beach, Alabama. Everyone knows that fishing experiences are enjoyable from the planning stages all the way through the implementation of the trip. Our goal is to make your life easier. We love seeing grandpa spend time with his grand children with grandma looking on! 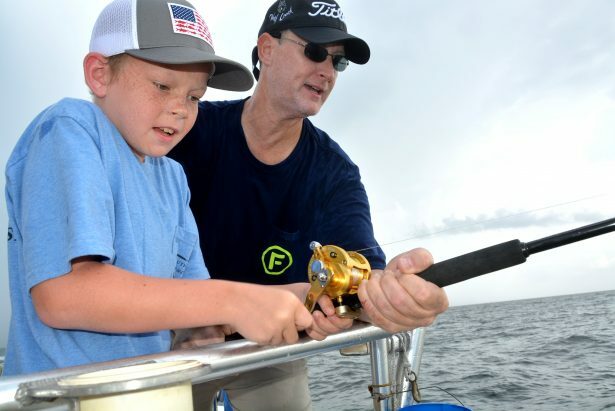 Sharing our love for fishing with your kids is what we are all about! 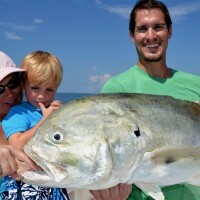 As you probably already figured out, we are not an alternative to other Orange Beach Fishing Charters. There is a huge difference between we do for you and what our competitors advertise. 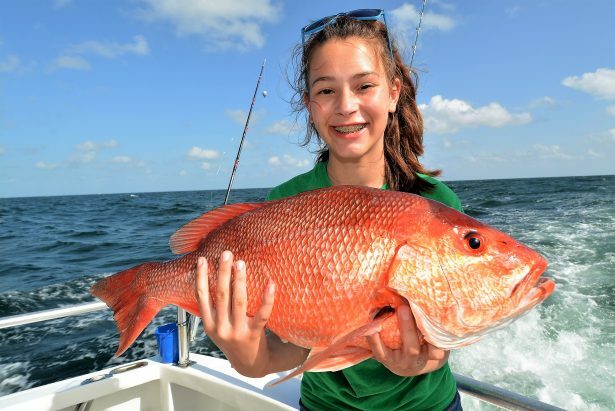 It is important for you to know that when you allow us to serve your family, you will be with guides that care if you get a quality fishing trip. Instead of rushing you around from spot to spot in search of only big fish, we take you to a spot or reef and let you fish. We want you to get as much fishing time in as you can. 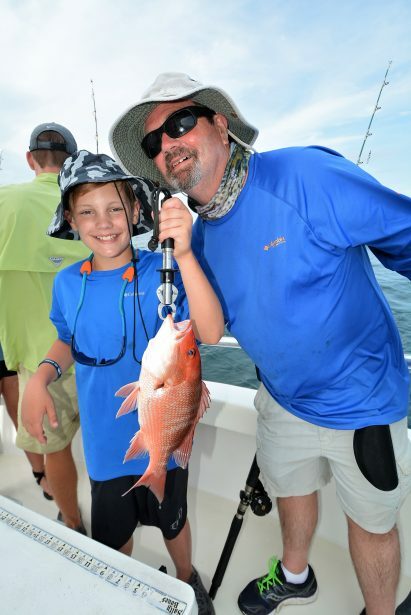 We focus on ensuring you have a bent pole on ever spot and you and your kids catch a lot of fish. Our goal is to have you so tired of reeling, you will want to take a nap on the way home. 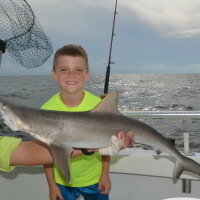 In addition to catching a lot of fish, we offer a little saltwater education with some unique experiences during the day, so your children don’t lose interest. This is what you will come away with when you allow us to serve you. Being your servant, is the most rewarding things we get to do each day. One of the biggest differences about us is, we are professional anglers and stewards of our marine resources. The reason we fish is for the pleasure it gives us. We are not freezer fillers or order takers. Our guides are serious anglers that are now giving back and sharing our expert knowledge with our guests. 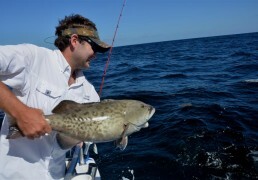 We are unlike other charters in the way we handle the fish you catch. We respect every living animal and will not do anything intentional to harm the fish you have caught. We use a big net if your fish is too big to land. If it is in season and is of legal size, we quickly place it in the cooler after you have got your pictures. Only in rare occasions with larger fish with real sharp teeth, we have to use a GAF or different tools to dispatch them so they do not harm anyone on board. We do not kill sharks we catch. The ones we catch, bull sharks and reef sharks have little or no food value, regardless of what people say. 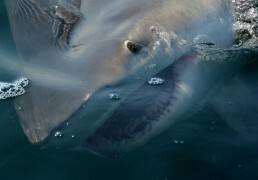 Maybe a Mako Shark is good to eat, but the rest of them are not good. They are also very dangerous to bring on board. We do our best to photograph them as we are letting them go. 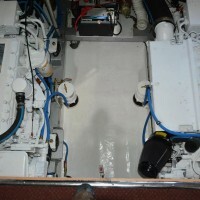 Another way we differentiate ourselves is when we get back to the dock. We do not place fish out on the dock or slam nails through their heads and hang them on a board when we get back to the marina. 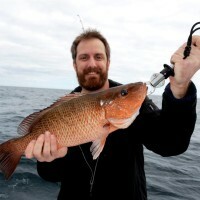 Instead, we encourage you to take pictures of yourself holding individual fish while at sea. This makes for a lot better photographs. We take people fishing who want to keep their poles bent, catch some fish and have a good experience. If you catch a few fish that are in season, you may keep them for dinner. We want you to have enough fish for a few good meals or to take home for a few more dinners. You will always remember when grandpa took you fishing! It is our business policy not to disappoint you. There are many reasons we can give you so you will never be let down with our service. As soon as you become a customer, you are welcome to call me at any time. Also, if you feel like you did not receive exactly what you wanted, I promise to make it right. Want To Catch A Lot Of Fish and Have Some Fun?